Gaur Biz Park, Plot No-1 Abhay Khand-II, Indirapuram Ghaziabad - 201014, U.P. Gaursons India Limited is one of the most prominent builders in the real estate sector. Established in 1995, Gaursons has made a name for itself by building landmark residential and commercial properties in the National Capital Region in India (Gurgaon, Delhi and Noida). With their motto being ‘the synonym of trust in realty’ Gaursons has successfully met the goals created since its inception. With a strong vision to create innovative architecture and a determination to transform this vision into reality, Gaursons has made great strides in the real estate sector over the last two decades. Led by B.L. 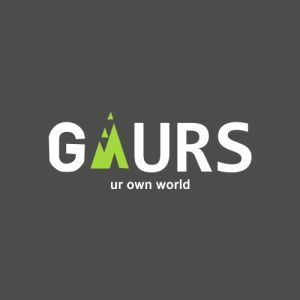 Gaur, Gaursons India Limited has contributed a wide variety of well known residential and commercial projects throughout India. With a strong message that states "For Gaursons India Limited, to construct an apartment is not merely a construction activity, but to achieve faith & support of the invaluable customers. For us work is worship and therefore it is emphasized to get better & better quality in the forth coming projects", Gaursons is one of the few real estate firms that has strong goals mapped out for the future. For this group, consumer trust is one of the most important aspects contributing to the way projects are conceptualized and designed.